The user base for WhatsApp, the free messaging service, continues growing, meaning more and more people also find themselves having questions about the application. Check out some answers to the frequently asked questions below, courtesy of the company. WhatsApp communication between your phone and our server is encrypted. What are WhatsApp’s subscription fees? We want WhatsApp to be about communication with your friends and family, so we will never bother you with ads. We do have small subscription fees, however. Please note that WhatsApp will never automatically charge you for your subscription. For all phone types, WhatsApp is free to download and try for the first year. After, you have the option of extending your subscription for $0.99 USD per year. Subscriptions are cumulative, so if you pay for an additional year of service, it will add to your current subscription or free year-long trial. There is no difference between the free and paid versions of WhatsApp other than the length of service. Note: Deleting and reinstalling WhatsApp does not reset your subscription. To use our Change Number feature on the phones listed below, please click on the appropriate article for specific steps: Android | iPhone | BlackBerry | Nokia S40 | Nokia S60 |Windows Phone | BlackBerry 10. Note: Make sure to use the specific Change Number steps to migrate your account to your new number. If you simply verify a new number with WhatsApp (you might see a prompt to do this when you put a new SIM card in your phone and open WhatsApp) then your old account data will not migrate over to the new account. Please do not swap SIM cards or phones frequently, or you will create problems in the verification process. Read this article for more information. Your friend’s phone number must be in your phone’s address book in order for you to start a chat with them in WhatsApp. Ensure that your friend has WhatsApp installed on their phone. Double check that your friend’s phone number is entered correctly in your phone’s address book. Enter the number the same as you would if you were to make a phone call to that person. If this is an international phone number, do not use any exit codes or leading 0s.Start all international phone numbers with a + sign, followed by the country code. For specific examples and instructions, see this article. Open WhatsApp and refresh the Favorites screen. On Android, this screen is titledSelect contact. Contacts in your phone address book that have WhatsApp will be displayed in the Favorites screen (Select contact screen for Android). In WhatsApp, you can only start a chat with these contacts. If you still do not see your friend in your WhatsApp list, it is possible that your friend does not have WhatsApp. Voice Messaging is a very powerful way of communicating with your friends and family. We made an effort to build a user experience across all of our platforms that is as similar as possible, but we encourage you also to spend time reading the articles below to better understand how Voice Messaging works on your smartphone. See a previous Associated Press update below. 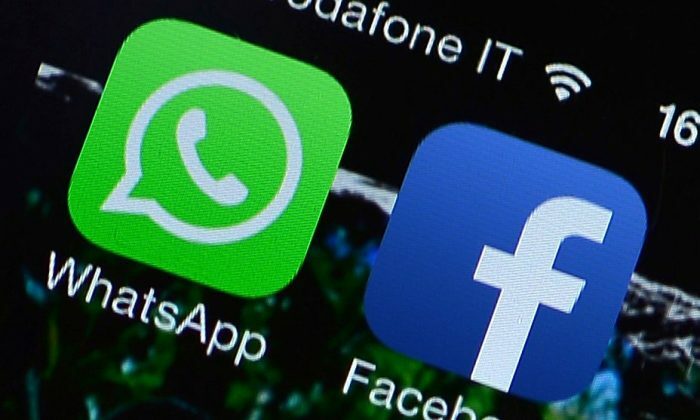 BARCELONA, Spain—WhatsApp, the popular messaging service for smartphones that’s being acquired by Facebook, will soon be offering a voice service.